A series of successes have helped Herman Moore develop a greatly respected personal and professional business reputation. He currently serves as the Founder and Principal of Team 84 Marketing, a certified MBE (Minority Business Enterprise) full-service marketing and advertising agency. Moore also organizes his event appearances and speaking assignments under the Team 84 umbrella. In addition, he is a Partner at DSG Staffing, a certified MBE (Minority Business Enterprise) professional staffing agency that specializes in recruiting temporary and permanent personnel for a range of employer types. A graduate of University of Virginia, Moore was the Detroit Lions’ first-round draft pick in 1991. He went on to earn accolades on the field and off the field as an NFL analyst, promotional products vendor, Cinnabon franchisee and consultant to corporate and nonprofit clients. He was a Crain’s Detroit Business 40 under 40 honoree in 2003. His storied football career accomplishments include honors as the only Detroit Lions receiver to catch more than 100 receptions in three consecutive seasons – and Moore is known as one of the most productive wide receivers in NFL history. Today, Moore’s overall passion is to create opportunities for himself and others grounded in adding value to all parties while helping communities thrive. He is the founder of the Tackle Life Foundation, which provides essential life skills and experiences for individual growth, and he is a board member of the Ally Jolie Baldwin Foundation. 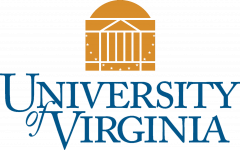 Herman Moore received his Bachelor of Arts degree in Rhetoric and Communications from the University of Virginia in 1991. Moore is very accustomed to high standards and the importance of demonstrating a ceaseless level of competency and professionalism. Since graduating from college and finishing a very successful professional football career, he has used these valuable principles to establish an enduring personal and business brand around the country, within local communities and corporate business sectors. Moore was a 2-Sport athlete at the University of Virginia and earned First Team All-American as a wide receiver in football and was both an Indoor and Outdoor ACC High Jump Champion in Track and Field and Heisman Trophy Finalist. In October 2007, Herman Moore was among 124 modern-era players, coaches, and contributors on the preliminary list of nominees for the Pro Football Hall of Fame's Class of 2008. Moore was one of only 7 other first-year eligibles to make the list. Moore made 670 catches for 9,174 yards over 11 seasons for the Lions (1991-2001). In 1995 Herman Moore and teammate Brett Perriman combined to set the NFL single-season record that still stands for most combined catches (231) and receiving yards (3,174) by two teammates in the same season. Perriman’s 108 catches gained 1,488 yards. Moore had 123 catches for 1,686 yards. He is the only Detroit Lions receiver to catch more than 100 receptions in three consecutive seasons (1995-97). Herman Moore was also one of the most productive wide receivers in league history during his 12 year career (11 years Detroit Lions, one year New York Giants). He ranks 5th with most catches in a single season in NFL league history (123), ranks 10th in NFL league history for total receiving yards in a single season (1686), and was named to the NFL Pro Bowl on four occasions and NFL All-Pro three times. Moore was the Lions first-round pick in 1991 after graduating from the University of Virginia. 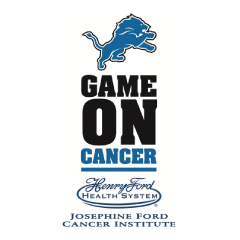 Herman Moore served as a spokesman for Game On Cancer, which is an ongoing partnership with the Detroit Lions and their exclusive partner in the fight against cancer, Henry Ford Health System from 2013 to 2016. Game On Cancer provides assistance to patients that tackle barriers to cancer care and provides critical cancer research funding. 100% of funds raised through Game On Cancer are used to assist cancer patients and their families. The former NFL All-Pro has a personal place in his heart for assisting cancer patients. Moore knows what cancer can do after losing his father, Herman Chappelle, to prostate cancer in 1999. Chappelle died during training camp that fall, and fighting cancer has been a focus of Moore's ever since. Since 2015, Herman Moore has served as the Ambassador for the Quick Lane Bowl, which is a postseason collegiate football bowl game sponsored by Quick Lane Tire & Auto Centers. 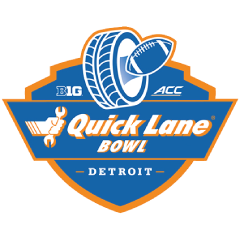 The Quick Lane Bowl renewed their title sponsorship with the Detroit Lions in 2016. The renewal guarantees Quick Lane naming rights of the bowl through 2019. The Detroit Lions are the only NFL team to own, host and operate a college football bowl game. Herman Moore served as a Detroit Lions Ambassador for the NFL’s Fuel Up to Play 60 initiative from 2012 through 2015. 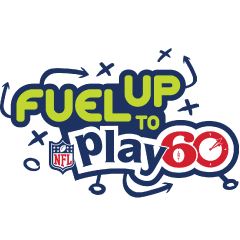 Fuel Up to Play 60 is an in-school nutrition and physical activity program launched by National Dairy Council and NFL, in collaboration with the USDA, to help encourage today's youth to lead healthier lives. 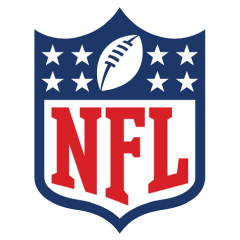 The National Football League, a founding sponsor of Fuel Up to Play 60, is dedicated to helping kids achieve the recommended 60 minutes of physical activity every day for optimal health by providing the Fuel Up to Play 60 program and involving NFL players and teams in the effort. 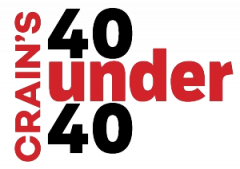 For over 25 years, Crain's Detroit Business has chosen 40 business achievers under the age of 40 that demonstrate great promise pursuing their chosen professional endeavors. The winners are selected because they are smart, innovative, gifted and persistent. In 2003, Herman Moore lead a small successful business enterprise that generated annual sales over $10 million. Moore followed the path of other notable professional athletes that excelled in post-sports business careers. Herman Moore has been friends with Brad and Tamara Baldwin for many years and serves as a board member for the Ally Jolie Baldwin Foundation. The Ally Jolie Baldwin Foundation (AJBF) is a Michigan 501(c)(3) non-profit dedicated to promoting patient care support through the Children’s Hospital of Michigan. AJBF was started by the friends and family of Ally Jolie Baldwin (Brad and Tamara's daughter). Ally was diagnosed with anaplastic large cell lymphoma on October 4, 2010 and bravely fought against the disease until her death on April 5, 2012. Those that knew Ally, from family and friends to doctors and nurses, were forever touched by her bravery and spirit. AJBF, in Ally’s memory, is dedicated to other children and their families battling against pediatric cancer.